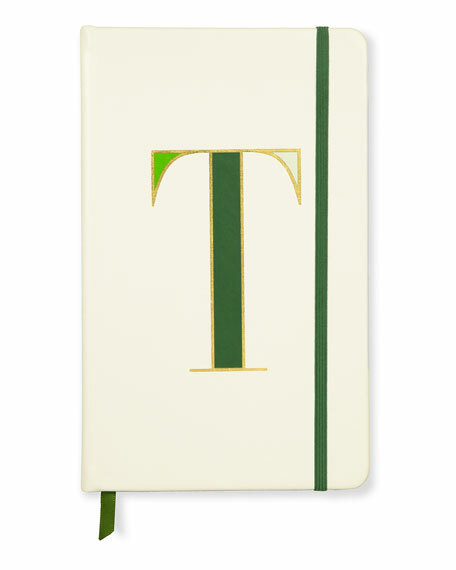 This leather notebook includes a spiral insert with 144 lined perforated pages on gold-gilded premium paper. 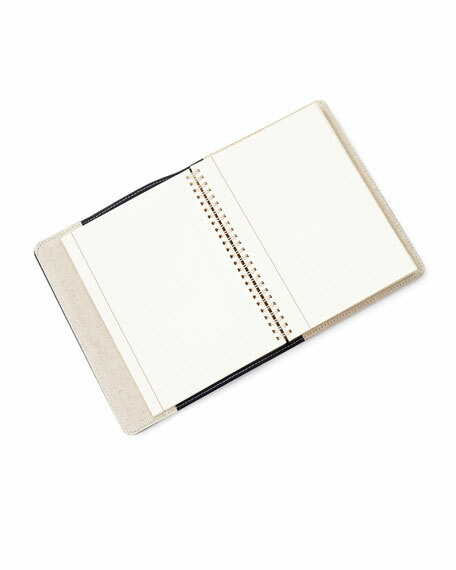 Handy for everyday note taking, business or journal writing. 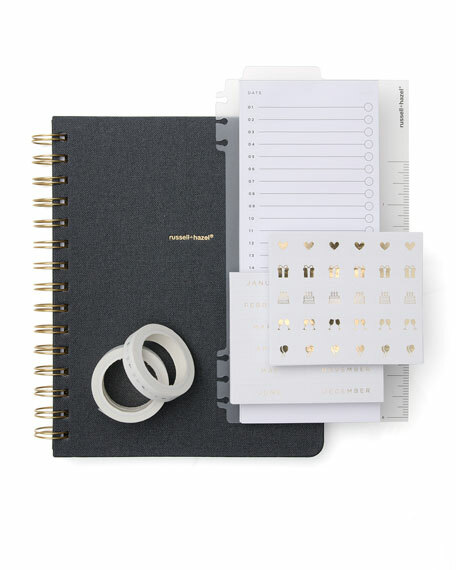 Personalize with initials in style shown.